Dark tourism has successfully been on the rise, especially in the last couple of years. Netflix’s Dark Tourist has only served to emphasize on the growing demands of tourist willing and wanting to explore new areas of attraction. While powder-white beaches and stunning ski resorts may never go out of style, tables are turned during Halloween. So in a bid to honor the devil’s number, check out these six freaky locations perfect for dark tourism. The eerie Suicide Forests is bound to give you the chills. Mount Fuji may be Japan’s iconic site, however what lies towards its northwest might change the perception of this stunning mountain. 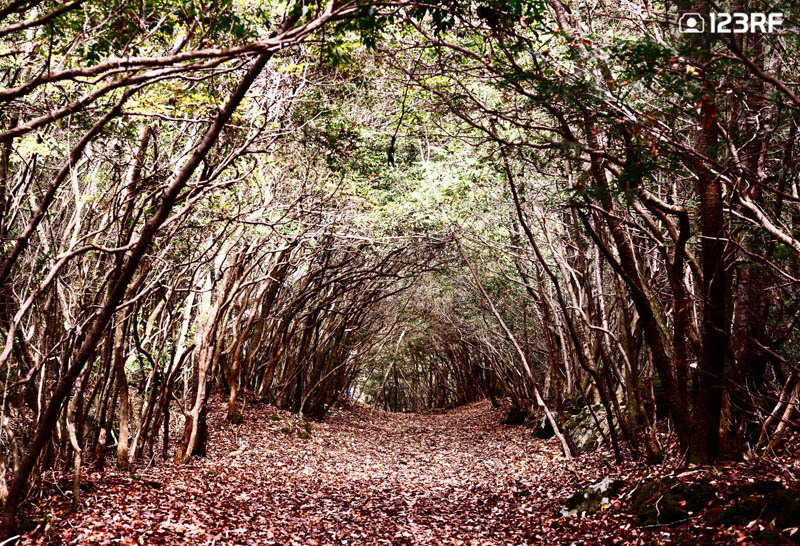 The dense forests of Aokigahara has all it takes to be a set for a blockbuster horror film. But to the locals, the dark woods are better known as ‘Suicide Forest’. Official statistics on the suicide rates of this morbid setting may vary, due to the sheer scale of the woods. However, there are believed to be 100 deaths a year in Aokigahara. This includes bodies which may have been dead for several years, before being identified by local authorities. Aokigahara’s geography only aids to its eerie reputation. Trees as twisted as a witch’s hair and roots forming treacherous threads. Therefore, making this a must see in anyone’s dark tourism bucket list. 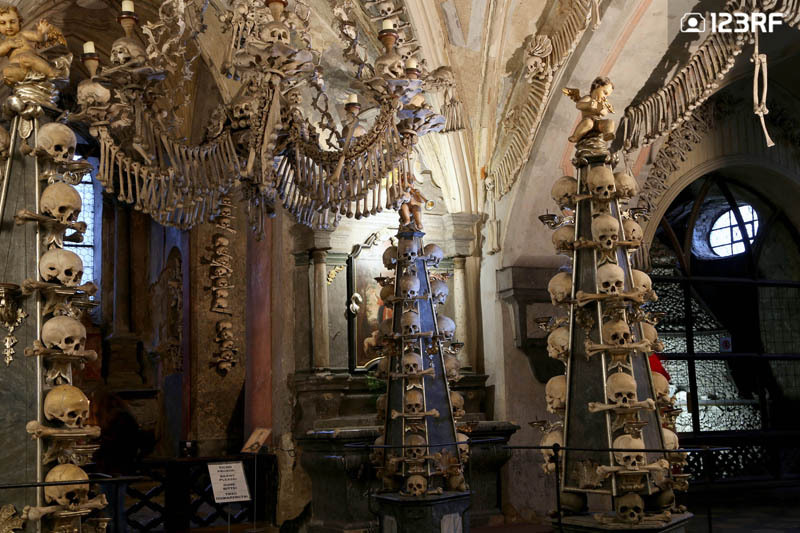 The Sedlec Ossuary is unlike any church you’ve ever visited. Image courtesy of Vladimir Zhuravlev@123RF. This small chapel sits in the suburbs of Kutna Hora. From afar, it is nothing more than a medieval gothic church. As you set foot in Sedlec Ossuary though, its an entirely different experience. This is one of the most intriguing churches in the world. The chapel is embellished with more than 40, 000 human skeletons. Therefore, giving rise to the tagline of ‘The Church of Bones’. The massive chandelier is the most impressive artwork in Sedlec Ossuary. This piece of art as it is made up of at least one of every bone in the human body. In addition, chains of skulls and intricately arranged bones can be seen on the walls of the church. It all began when the abbot brought back a jar of soil from Golgotha, where Jesus was crucified. People from all over the world then would flock Sedlec to be buried. This then led to the ossuary being built. However, the half blind monk who was tasked with this artistically arranged the bones as they are seen today, much to the delight of dark tourism aficionados. 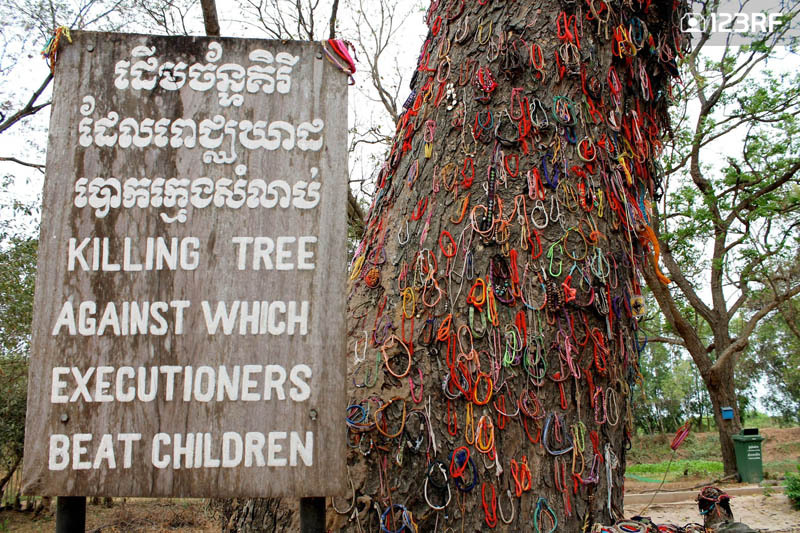 Cambodia’s Killing Fields is known as one of the world’s most popular dark tourism destinations. The infamous Khmer Rouge reign in 1975 – 1979 saw almost a quarter of Cambodia’s population wiped out through starvation, disease and execution. The latter sees the nation’s Killing Fields accommodating up to over a million bodies, with Choeung Ek being the largest of the fields. Phnom Penh’s S-21 Genocide Museum served as the main political prison, before the prisoners were sent to Choeung Ek, crammed in the back of trucks like a can of tuna. Over 12,000 political prisoners were detained, however, there are only seven known survivors. The rest were believed to be blindfolded and pushed into pits containing thousands of dead bodies. In a bid to not waste bullets, these prisoners had their heads pounded with spades and were left for dead. Today, these horrifying acts are highly evident in Cheoung Ek’s memorial center. Furthermore, the compelling audio tour gives dark tourism enthusiasts a harrowing insight into the tragic times of the genocidal regime. Remains of a burnt car highlights the destruction of the village at the hand of the German army. Image courtesy of Pierre-Olivier Clement-Mantion@123RF. In June 1944, the Nazi’s Waffen SS committed the worst atrocity in western Europe. 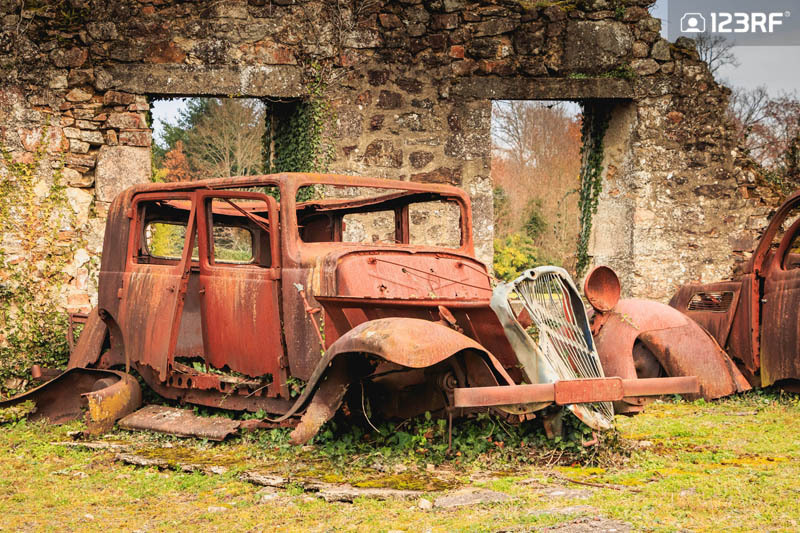 The French village of Oradour-sur Glane was wiped out, along with 240 women and 205 children being massacred in the church. Robert Hébras, one of six people who survived the slaughter, recounts the women and children burnt alive. The men were also not spared, as they were rounded up for ID check, only to be led to six barns and slaughtered. Today, this small village stands frozen in time amid crumbling facades, vines of pipes and wires, punctured windows, destroyed shops and homes. Therefore, making this one of the best dark tourism destinations to step back into the unpleasant times of the second World War. 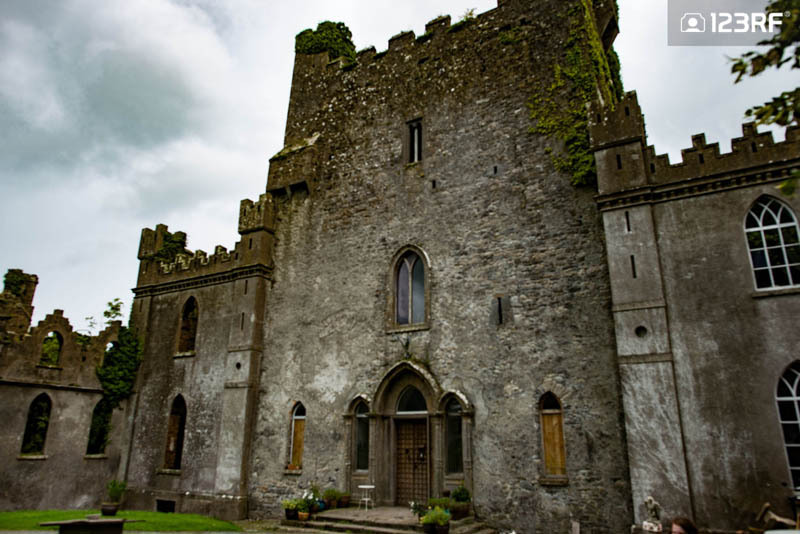 Leap Castle was first haunted by the ghosts of the O’Caroll family. This is said to be the most haunted castle in Ireland, thanks to its bloody history and ghastly acts of violence committed within its walls. One of which includes the murder of Thaddeus O’Carroll, by his brother. The dispute of the O’Carroll leadership saw Tiege piercing a sword to the back of Thaddeus, who was a priest. To add to that, the murder was committed in a chapel, now better known as the ‘Bloody Chapel’. 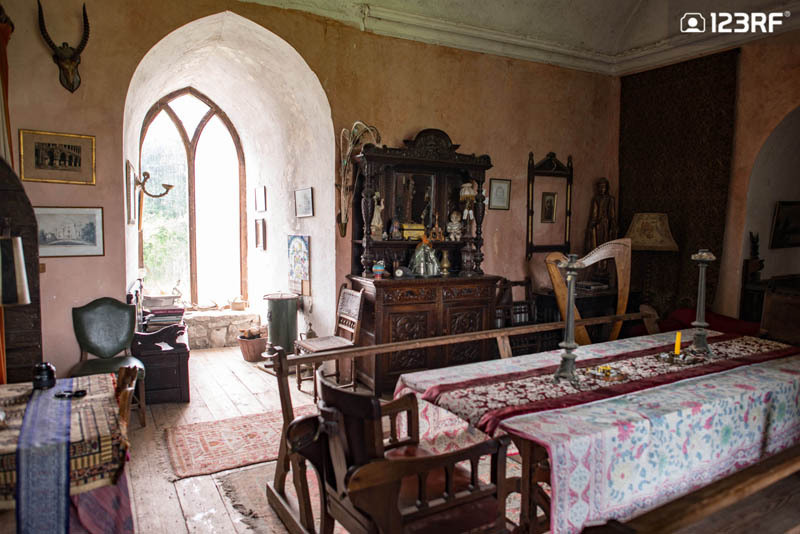 Would you consider spending a night in one of the rooms in Leap Castle? Image courtesy of Christopher Kelleher@123RF. Additionally, the sinister discovery of a dungeon in the ‘Bloody Chapel’, which revealed masses of human skeleton is every bit disturbing even for this dark tourism bucket list. The remains were believed to be guests of the O’Carroll’s who sent them plunging from a trap door, and straight onto wooden spikes which punctured their lungs. Talk about a warm welcome. 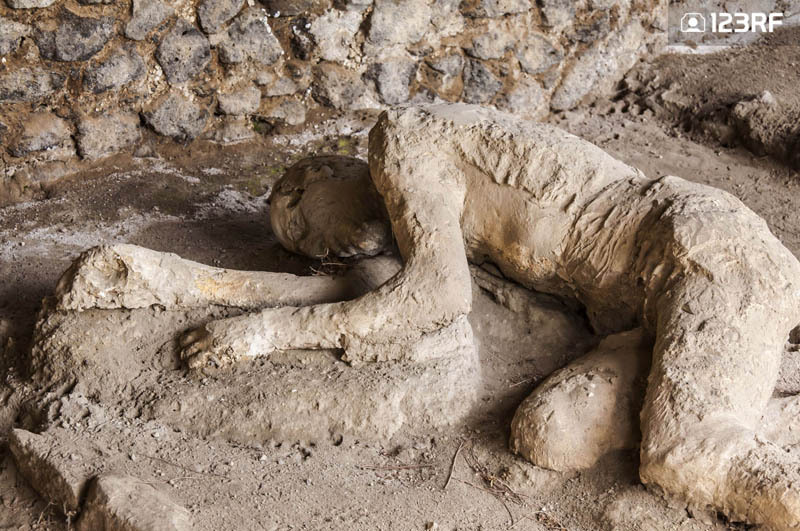 The ruins of Pompeii illustrates the raw destructive power of nature. 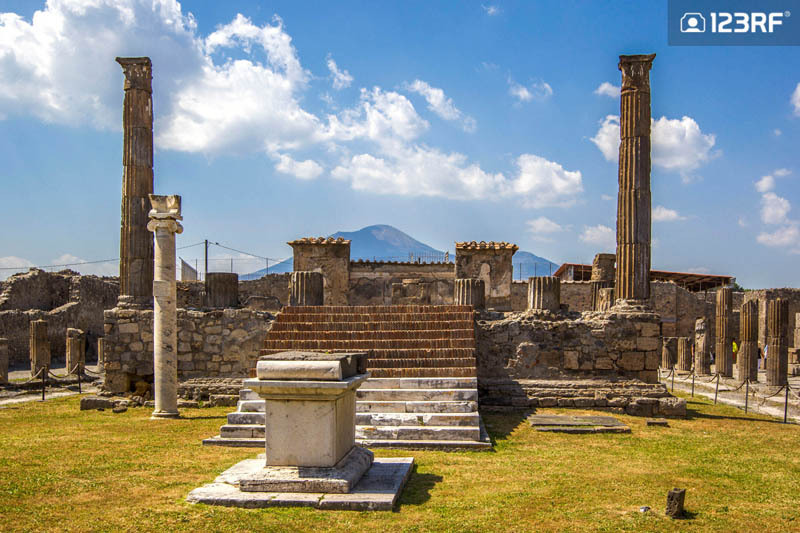 A visit to Pompeii enables travelers to feast their eyes on Europe’s most compelling archaeological site. However, the sprawling ruins of Pompeii is both equally majestic and haunting. The world’s largest Roman town was destroyed by the eruptions of Mount Vesuvius in 79AD. Pompeii was then buried under this volcanic shroud for an estimated 1700 years, before active excavation efforts began in the 18th and 19th century. What was uncovered though, was nothing short of fascinating. 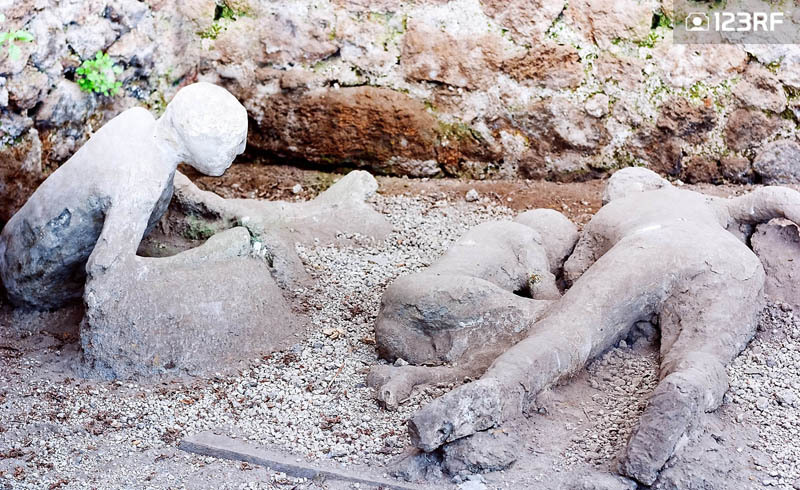 The remains of human bodies were found in abundance, hauntingly frozen in time, thanks to volcanic ash. Giuseppe Fiorelli, the director of the excavations identified the voids left by the decayed corpses. He then poured plaster into the air pockets and then chipped away the outer layers of ash to reveal the corpse, frozen in its original position. Some of these bodies were found trying to shield their faces and even a mother’s desperate attempts to save her child in vain, thanks to nature’s destructive forces. The volcanic ash has left the victims of the eruptions frozen in time. There you have it, six haunting destinations for the ultimate dark tourism bucket list. If you’re keen to create spooky Halloween illustrations, check out this collection of Halloween design visuals. Finally, take a peek at this curated likebox for your travel inspiration, be it for your blog, magazine or website!